A dam is a man-made structure built across a river. Most dams are built to control river flow, improve navigation, and regulate flooding. 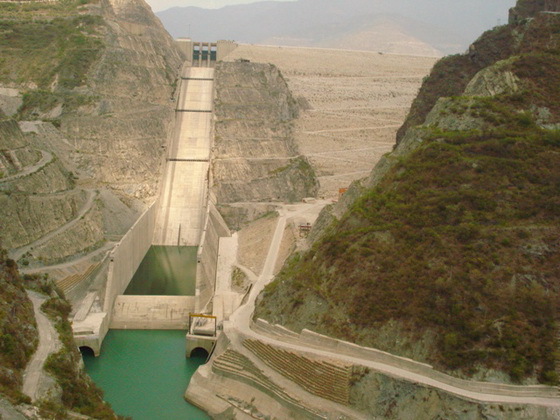 However, some dams are built to produce hydroelectric power. The sight of a dam one of the largest and most complex structures that humanity has ever created can be quite breath taking. Here is a top 12 highest dams list. The Mica Dam (243 m height) is a hydroelectric dam spanning the Columbia River 135 kilometres north of Revelstoke, British Columbia, Canada. The Alberto Lleras Dam, also known as the Guavio Dam, is a rock-fill embankment dam on the Guavio River near Guavio, Colombia. Deriner Dam is a concrete double-curved arch dam under construction on the Çoruh River 5 km (3.1 mi) east of Artvin in Artvin Province, Turkey. 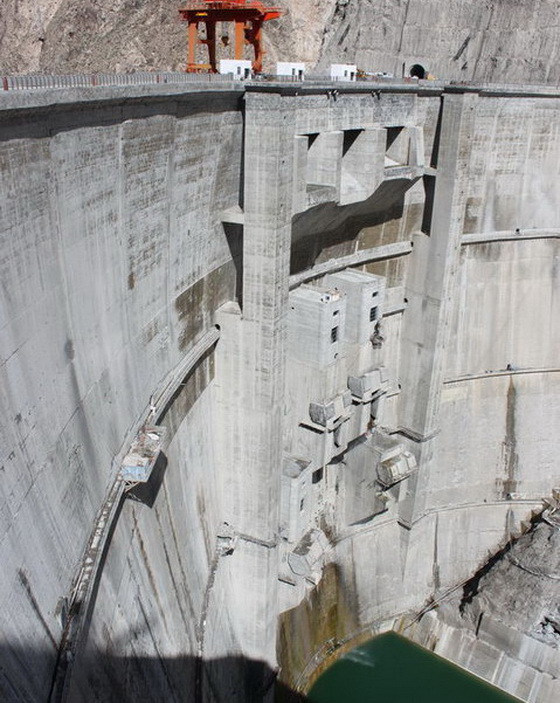 Construction on the dam began in 1998, the reservoir began to fill in February 2012 and the power station is expected to be operational by the end of the year. It will have a 670 MW power house and is the tallest dam in Turkey. The Laxiwa Dam is an arch dam on the Yellow River in Qinghai Province, northwest China. The main purpose of the dam is hydroelectric power generation and it supports the largest station in the Yellow River basin. The facility generates power by utilizing six turbines, each with a generating capacity of 700 MW, totaling to a capacity of 4,200 MW. 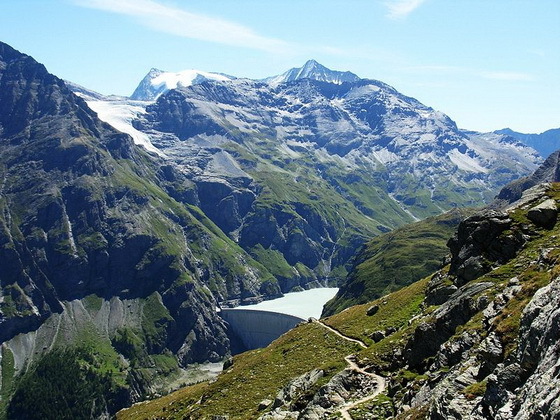 Lac de Mauvoisin is a lake in the canton of Valais, Switzerland. The reservoir is formed by the Mauvoisin Dam, which is 250 m high. The dam is currently the 8th highest in the world, and the third highest arch dam. It was built in 1951–1957, and raised by 13.5 m in 1991. It is located about 40 km from Tuxtle, capital of the Mexican state of Chiapas. It is also known as Sumidero Canyon and canyon is regarded as an important tourist attraction in the state of Chiapas. The chicoasen is the home to a great variety of wildlife including corocodiles. It is the 6th largest dam in the world with a height of 261 meters. 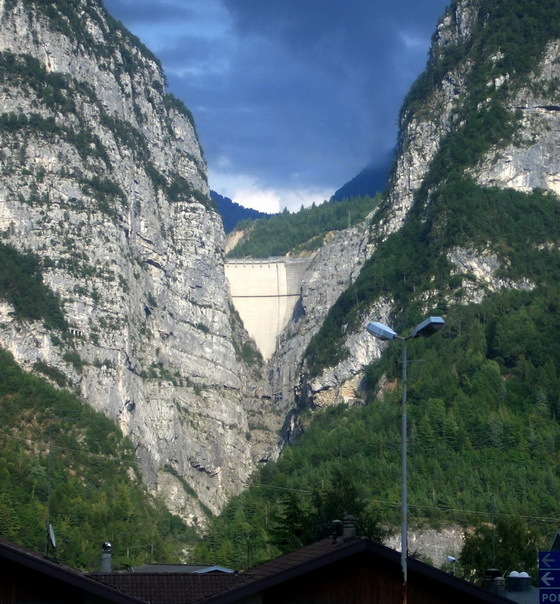 The Vajont Dam is a disused dam, completed in 1959 in the valley of the Vajont river under Monte Toc, 100 km north of Venice, Italy. 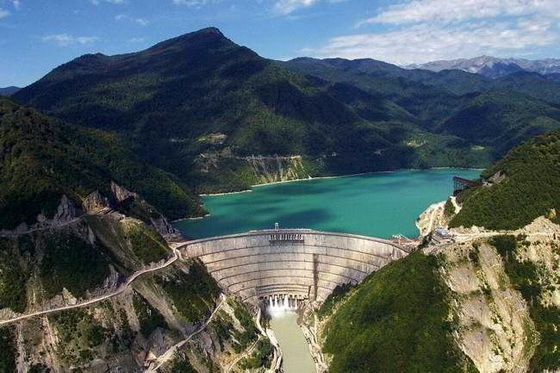 One of the tallest dams in the world, it is 262 m (860 ft) high, 27 m (89 ft) thick at the base and 3.4 m (11 ft) at the top. The Inguri Dam is a hydroelectric dam on the Inguri River in Georgia. Currently it is the world's highest concrete arch dam with a height of 272 metres (892 ft). It is located north of the town Jvari. 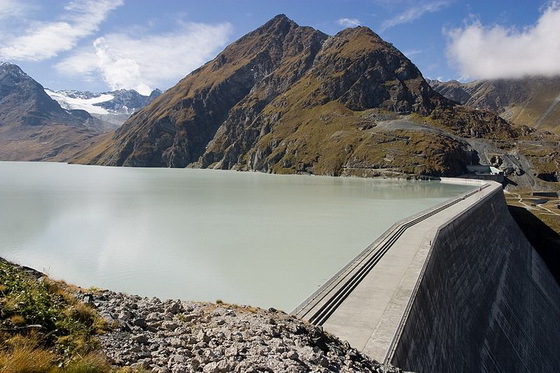 The Grande Dixence Dam is a concrete gravity dam on the Dixence River at the head of the Val d'Hérens in the canton of Valais in Switzerland. At 285 m (935 ft) high, it is the tallest gravity dam in the world and is part of the Cleuson-Dixence Complex. It is world’s 2th tallest Dam. 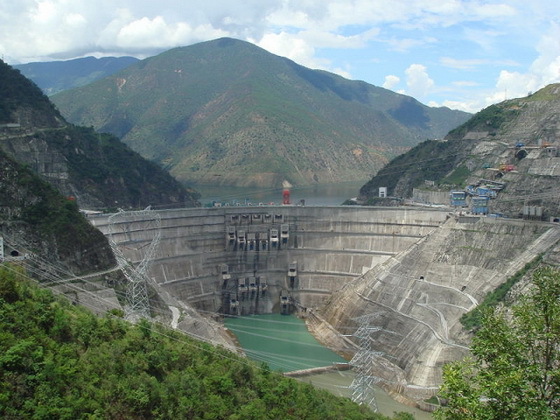 Construction on the Xiaowan Dam was started in January of 2002, and continues today. This hydroelectric arch Dam, on the River Lancany in South West China. Each power-generating units will have a 700 MW capacity. The Nurek Dam is an earth fill embankment dam on the Vakhsh River in the central Asian nation of Tajikistan. At 300 m (984 ft) it is currently the tallest dam in the world.